Specialist homelessness services (SHS) in NSW are undergoing major reform for the first time in 30 years under the government’s Going Home Staying Home (GHSH) program. According to the GHSH factsheet, the program seeks to make specialist homelessness services more accessible and to ensure that clients’ needs are met on an individual basis. The program has been granted $515 million in funding over three years – a 10% increase. However, organisations had to compete for funding in a tendering process. With over 336 individual services consolidated into 149 new packages there are concerns over how well these new services will cater to more vulnerable groups as 82 homelessness services, including several specialist women’s services and refuges, have confirmed their closure. The restructuring also means that many services will now run under larger Christian affiliated organisations. 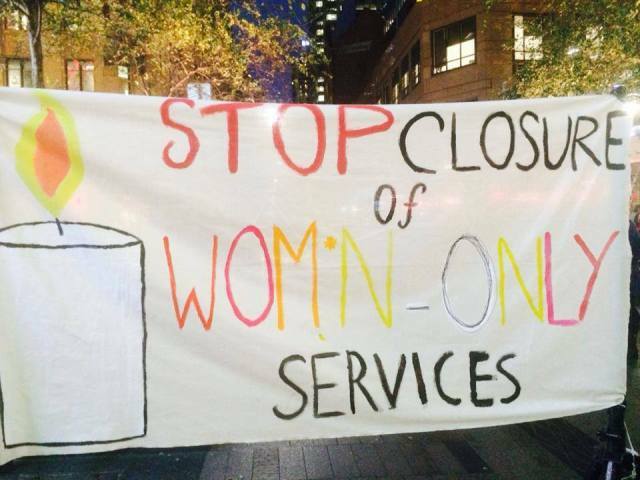 Students for Wom*n’s Only Services (SWOS) is a campaign led by NSW university students fighting against these government reforms. SWOS spokesperson Anjana Regmi said that these reforms will have an especially negative effect on women from ethnic and culturally and linguistically diverse (CALD) groups who have now lost specialist services. There is a concern that services will be more inaccessible to these women, effectively forcing them to remain in unsafe environments. ‘Majority of women from multicultural subcontinent, CALD communities will fail to access services due to the lack of existing support and the loss of rapport. Lack of a support network that comes from living away from a family puts women at risk of living in violence. ‘CALD and ethnic communities are already much segmented, but forcing them to use services run by Catholic organisations will not make things better,’ she said. As SWOS continues to campaign against the funding cuts and for reinstating specialist women’s services, Regmi explained that the tendering process has ultimately disadvantaged smaller specialist services. This entry was posted in News and tagged government services, women. Bookmark the permalink.